There are always plenty of cider events going on, which we usually share with you via our Events page or through our weekly Double Tap List. But, we wanted to take an extra moment to let you know about Ploughman Cider‘s 2nd Anniversary festivities coming up this weekend. Together, the Ploughman team, founder Ben Wenk and Ploughman’s cider maker (and occasional Cider Culture contributor) Hans Edwin Winzeler, have done so much to elevate and celebrate craft cider in Pennsylvania (where Cider Culture is HQ’d), and we’re excited to share the big plans they’ve got in place to mark two years in the biz. On Saturday, December 1, Ploughman will party at the National Apple Museum in Biglerville, PA (yes, they are obsessed with apple in this part of Pennsylvania), with live bands performing all day, including Wenk’s own band, Chuck Darwin & The Knuckle Draggers. 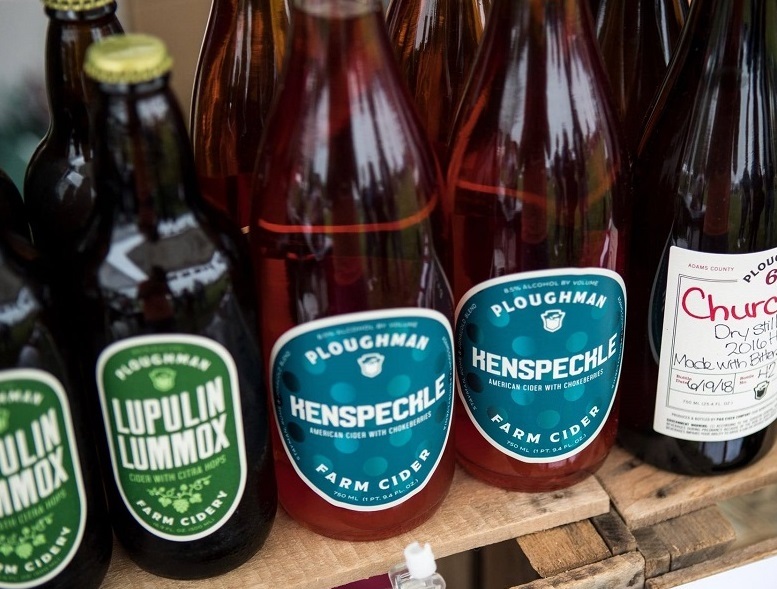 On the cider side, there will be new Ploughman merch, a new cider released (Muhibbah, a dry cider with Malaysian spices), draft cider for sale, and bottles to go! Gettysburg-based The Farmstead Butcher will be serving locally sourced food and non-alcoholic drinks all day. The cost is $10 per person, which includes a Ploughman tulip glass and one pour of cider. Designated drivers and kids are free (please kick a couple bucks to the bands). Already got plans for Saturday? On Sunday, December 2, the party continues at Battlefield Brew Works, with Ploughman cider on draft and Chuck Darwin & The Knuckle Draggers plus Clark McLane Band playing from 3 to 7 p.m. If you’re in the area, come on out to congratulate Ploughman on its second anniversary and to get a taste of what its future holds!